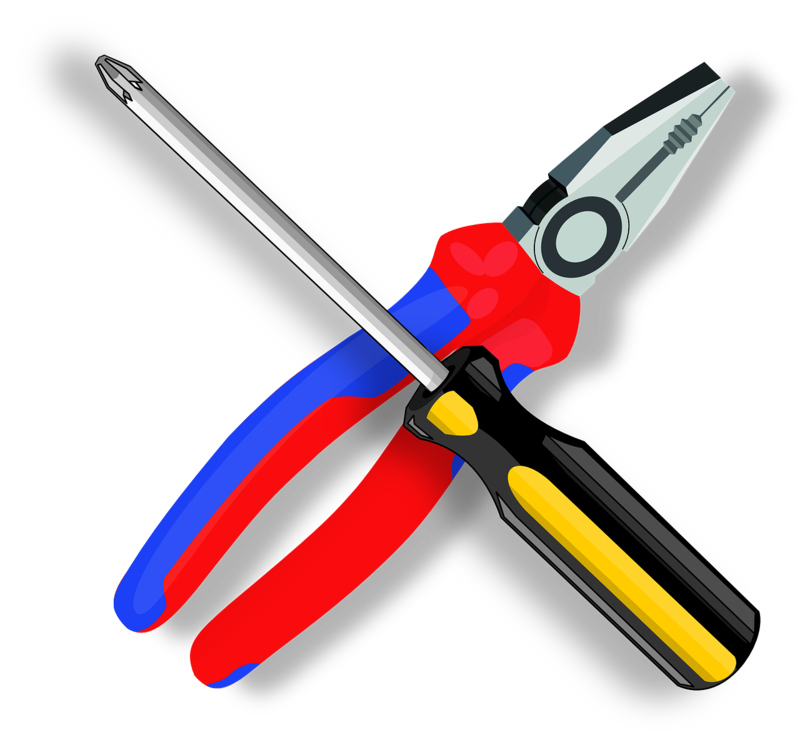 Learn about some tools helpful when considering/designing a solar PV or thermal system for the UK. There are many calculators available on-line (and off-line) to help with solar design. This outlines a selection and lists many more! Midsummer Energy provides a simple UK PV solar panel calculator for example, which I have often used. Another good tool is the PhotoVoltaic Geographical Information System (PVGIS). PVGIS "provides a map-based inventory of solar energy resource and assessment of the electricity generation from photovoltaic systems in Europe, Africa, and South-West Asia." The model algorithm estimates beam, diffuse and reflected components of the clear-sky and real-sky global irradiance/irradiation on horizontal or inclined surfaces. The total daily irradiation [Wh.m-2] is computed by the integration of the irradiance values [W.m-2] calculated at regular time intervals over the day. For each time step during the day the computation accounts for sky obstruction (shadowing) by local terrain features (hills or mountains), calculated from the digital elevation model. It is often useful to be able to work off-line. Even if one is not actually perched on a roof top when trying to add up on fingers and toes! Julian Pearson volunteered me his own (Excel) spreadsheet that "calculates the duration of sunlight per day, at the latitude entered by the user, as well as the angle of the sun... works out the efficiency of the solar strike on the panel for each day of the year ... [it assumes] optimised conditions ... [with an unobstructed, unshaded] clear view south." He's happy for it to be distributed and used for free as long as the usual courtesies are respected. No messing with it, no charging for it or for use of it, and attribution for his work and that of the people he mentions in the spreadsheet. One PC-based (paid-for) tool is the PVSYST PC application "for the study, sizing, simulation and data analysis of complete PV systems." The installer of my 1.29kWp hybrid PV system used PVSYST to predict output. The graphs and tables are fairly clear and helpful. Underlying PVGIS is the EU's Solar Electricity Action SOLAREC programme (map of solar energy potential in Europe). 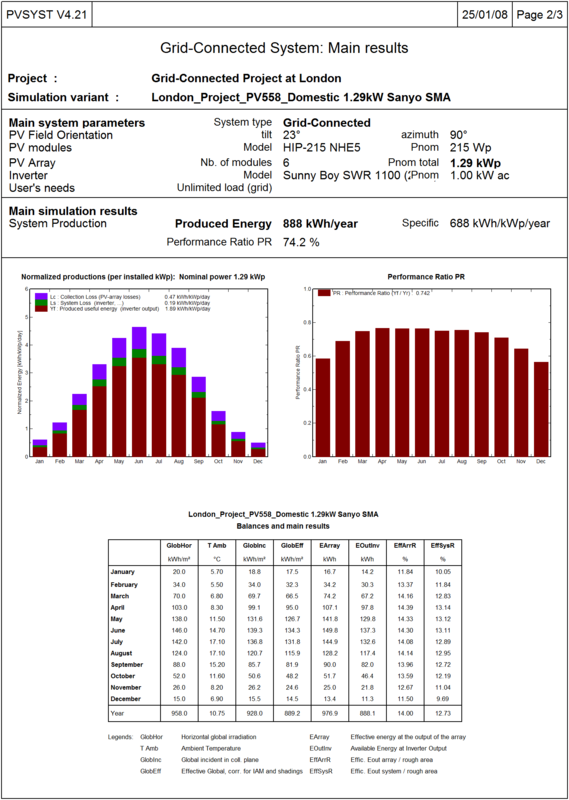 Solar Panels - PV System Sizing and Power Yield Calculator. Energy Saving Trust Solar Energy Calculator. RenSMART Solar PV Comparison Table: table of the commonly offered solar pv panels available in the UK. Optimum Tilt of Solar Panels. The PVSYST PC application "for the study, sizing, simulation and data analysis of complete PV systems." SMA's Sunny Design Web to help design PV systems, including storage. See PV Resources' software roundup. Midsummer Energy's solar panel calculator suggests that each Wp of panel will generate about 1Wh per day in winter in the UK and about 5Wh/day in the summer (and a yearly average of ~2.47Wh/day), so to cover nWh of base load year-round might require nWp of panel, plus maybe 20% for storage and conversion losses, and with a huge excess of capacity in summer. 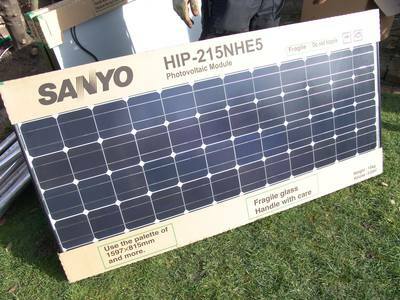 Steve Ransome Consulting: Independent PV consultant. Spreadsheet calculator for optimal panel angle (xls) c/o Julian Pearson. Consolar has a useful sizing guide, for example: allow for 40l/person/day, allow between 80l and 100l per m^2 of collector (other sources suggest as little as 57l/m^2). 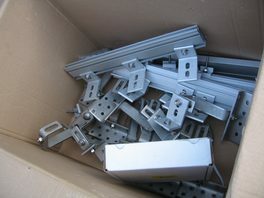 Plus good sense such as to angle collectors at >45°C to maximise winter output and reduce overheating risk in summer. See Libre Software in Building design. The global standard spectrum (AM1.5g)". DC vs AC solar PV capacity factors and "Approximate DC capacity factors: 10-13% Germany, 10-12% UK, 15-19% Spain, with the highest without tracking likely about 23% (Atacama Desert, Tibetan plateau). CFs above this are likely to be either AC, or using tracker devices, or both. Note the following handy conversions: 1kWh = 3.6MJ = 3412Btu = 0.03412Therms. First published 2007-12-24 , updated 2019-04-17 , rebuilt 2019-04-19 . Site copyright © 2007-2019 Damon Hart-Davis. Hosted by ExNet.